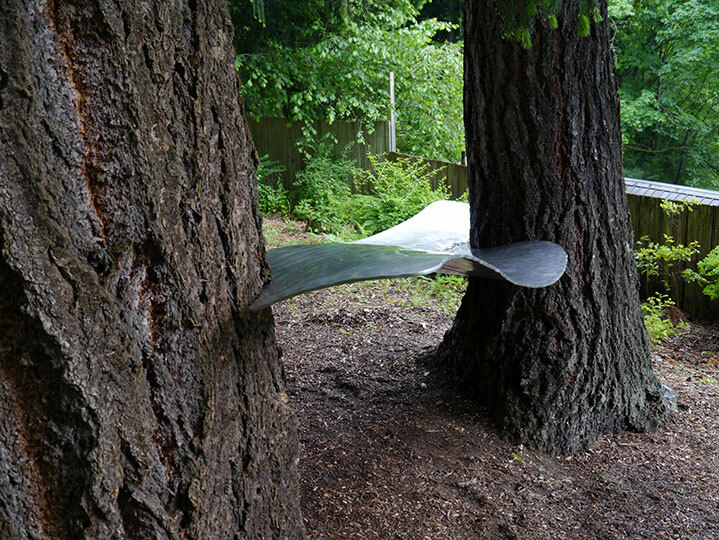 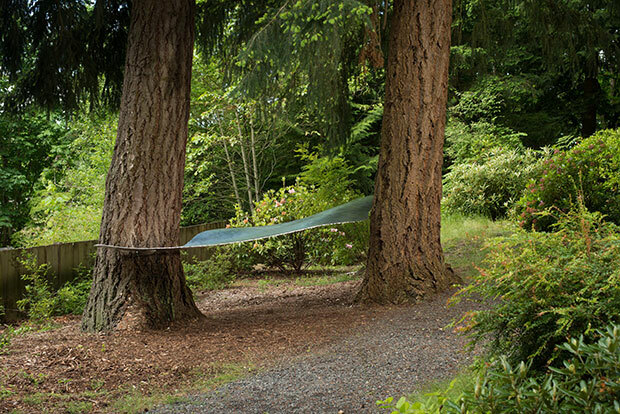 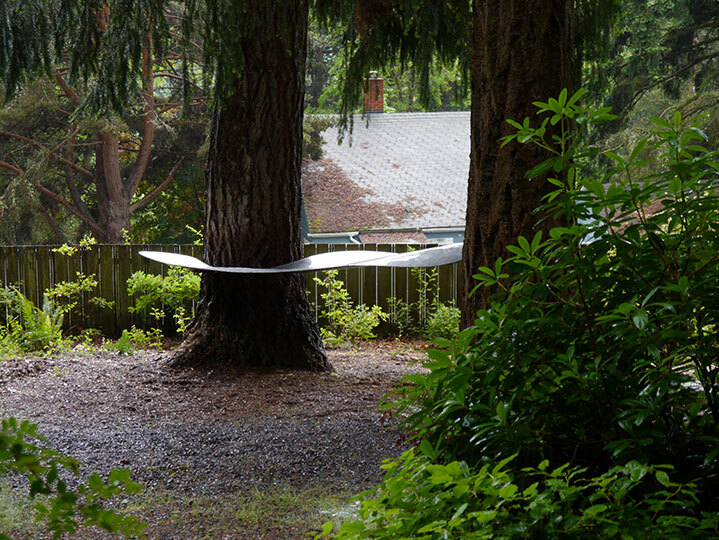 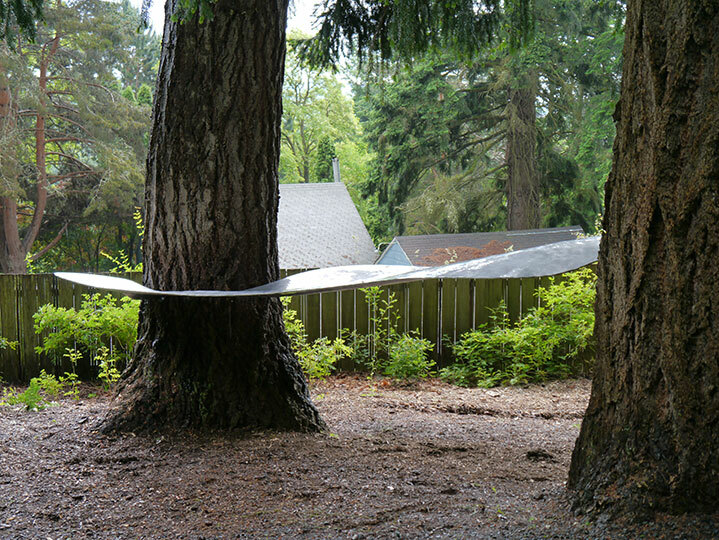 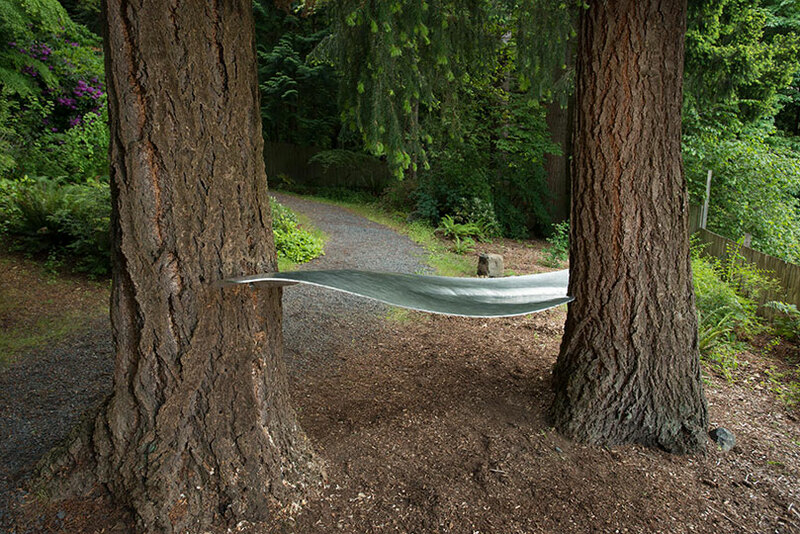 This site specific sculpture is symbolic of a wave entering the forest and moving between two Doug Fir trees as if they were below the water line. 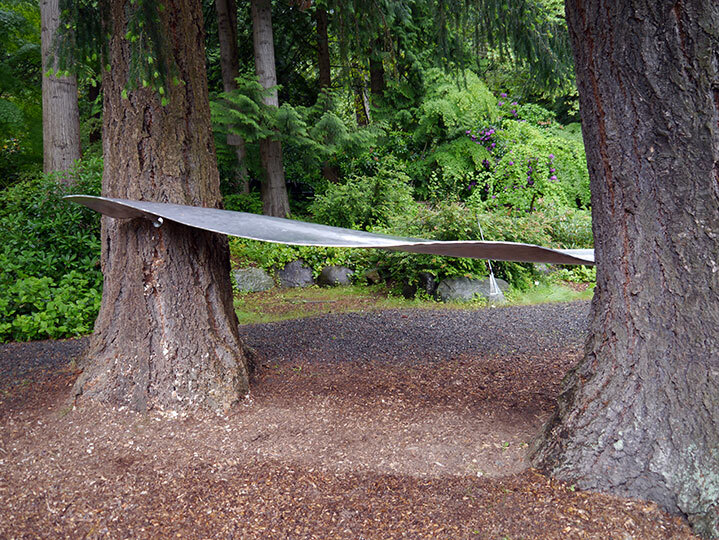 The material and form are intended to capture the shifting quality of light from different vantage points within the garden. 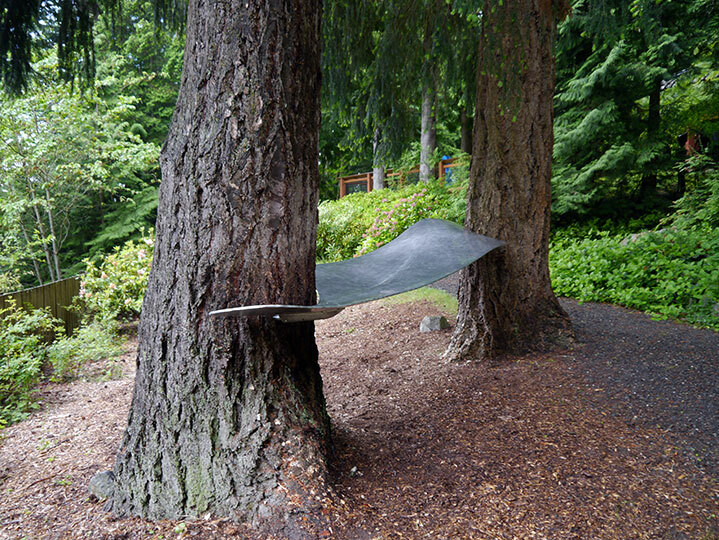 Created in response to a commission from the Bellingham Arts Commission to create a memorial sculpture with “a connection to the sea”, this installation is now a part of the city’s permanent collection at Big Rock Garden Park.